In this post i will show you how to give the different text-color and background color to the selected text. 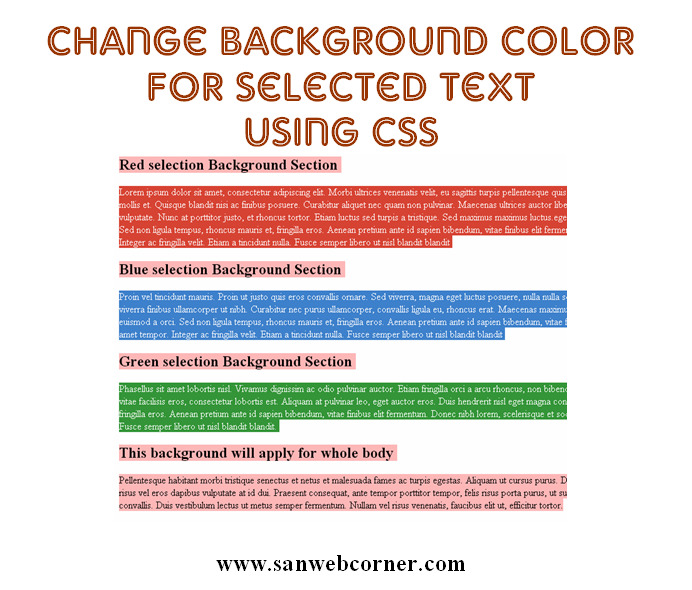 When you select the text from the webpage it highlighting the text with blue background color with white text, This is default one. We can change those colors using simple css code you can follow the below css code. You can change whatever color you want using this below simple css code. This is one of the intersting and simple concept. I hope this is very useful.